Learning how to encrypt files is extremely useful in today’s world. In addition to encrypting files, you can also password protect your files with OpenSSL. By encrypting files, no one would be able to read or open your files without first decrypting them. OpenSSL allows you to use excellent encryption on your files, and if you use it correctly, even if someone does intercept some of your data or hack your computer, it might not be worth it for them to decrypt the data due to the huge amount of time and computing power required to do so. 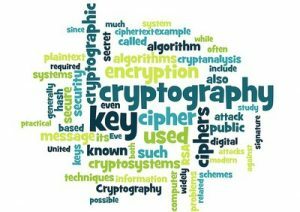 In some cases, it might take a supercomputer years to decrypt a well encrypted file, or it may even be essentially impossible due to how much time it would take to do so. Banks, corporations, and governments around the world use encryption, and it is a very good practice to do so to protect yourself and your essential data. Now I will walk through what each part of that command means. openssl is the actual command. enc means encoding with a cipher. -aes-256-cbc is an option we give it. aes-256-cbc is a common and secure cipher. We are telling it we want to use the cipher aes-256-cbc. To learn more about ciphers go here. The -e option tells openssl that you want to encrypt. The -in option means the input file you are giving openssl to encrypt. -out means the output file you want created after your input file is encrypted. As for what you should choose as a password, the longer and more complex the password, the better. Assuming you navigated to where your file is and you entered the command as I described, you should now have an encrypted file called file1_encrypted (or whatever you chose to name it). If you don’t get a message that says something like bad decrypt it should have decrypted correctly. But, if you get a message saying “bad decrypt” followed by a longer message, you either typed in the wrong password or you made a mistake with the command. If you get no message, it means that they are the same, which means you encrypted and decrypted the file correctly. Now your encrypted file is good. You can delete the original file and the files you made in /tmp/ and just keep the encrypted version of it. Make sure to copy down the password for it either on paper or somewhere secure on your computer otherwise you might not be able to recover the file if you forget the password. I use this command all the time to encrypt my files. While I also use other security measures like using HTTPS, VPNs and Tor, I have piece of mind that even if someone intercepts my data, they won’t be able to read it. What did you think of this article? Let’s discuss this topic in the comments below. Previous Previous post: Welcome to linuxwebdevelopment.com!! !